"It gave me a sense of confidence and security because they were monitoring me. The staff was great. I have more energy from the time when I started." 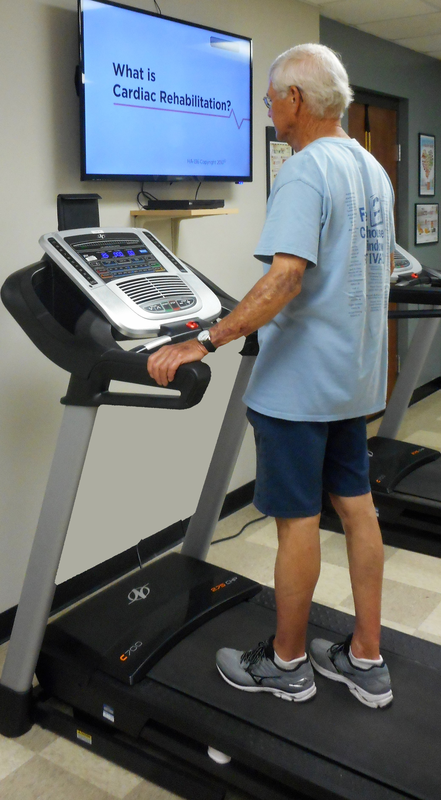 Cardiac Rehabilitation is a medically supervised program consisting of monitored exercise training, education on a healthy lifestyle, and helping patients return to an active lifestyle. Cardiac Rehabilitation may help reduce the risk of future heart issues and speed up the recovery process. Pulmonary Rehabilitation is a program implemented to improve your quality of life by strengthening your lung capacity and improving your overall lung health. It consists of monitored exercise, education, and support to help you learn to breathe and function at the highest level possible.